The Mayor of Dakota. 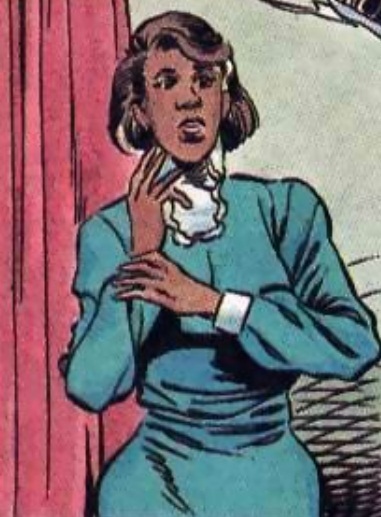 She’s most well known for being the mother of Holocaust and for being the one who approached Alva technologies for the experimental gas used at the Big Bang event resulting in many deaths and the creation of “Bang Babies” such as Static, Payback and Blood Syndicate. After the Big Bang she was held hostage by Payback who wanted her to confess to her part in the Big Bang but he was stopped by Icon. Thomasina also appeared to have dated Augustus Freeman. ← New Iron Man 3 Poster!